If you aren’t interested in earning double Gold Points for pre-ordering Super Mario Party on the Nintendo eShop, then perhaps Nintendo can sway you with a bundle. This limited bundle will include a physical copy of the minigame-packed party game and a Neon Green and Neon Pink Joy-Con Pair, making it the perfect choice for those wanting to get more players in on the competitive mayhem. 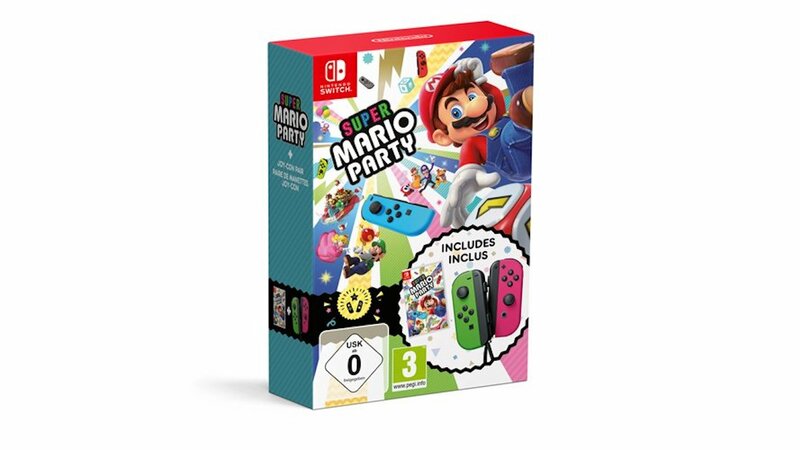 The bad news is that it will arrive on November 23rd, over a month after Super Mario Party launches. But, that makes it a likely candidate to be hastily scrawled on any Christmas lists to be sent up to the North Pole. Super Mario Party will release exclusively for Nintendo Switch on 5th October.